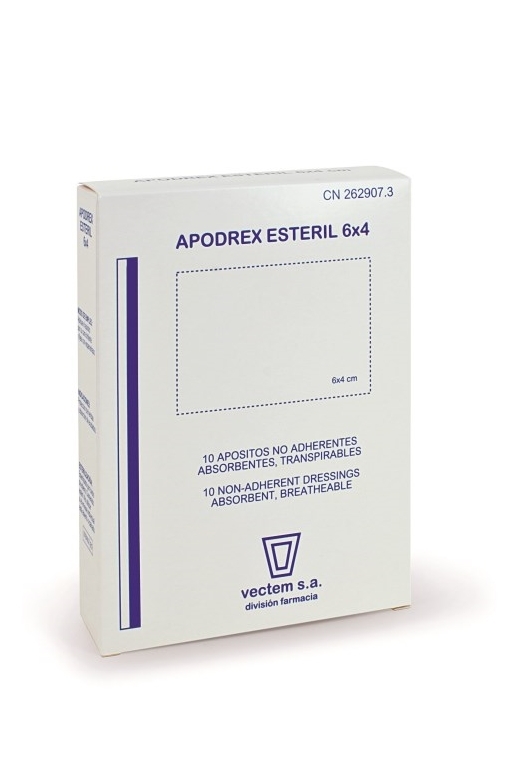 APODREX STERILE 6X4 , vectem s.a.
"APODREX 6X4 STERILE Individually packaged, single-use sterile dressings. Low-adhesion polypropylene contact layer, high-absorbency and cushioning cotton central layer. Packaging: packs of 6 and 100 units."